Nearly four years after the worst bleaching event in the state’s history, coral reefs in West Hawaiʽi are stabilizing and poised to recover, according to scientists from The Nature Conservancy. Photo: The Nature Conservancy of Hawai‘i. Higher than usual ocean water temperatures in 2015 caused the first statewide coral bleaching event. TNC surveys revealed that an average of 60% of corals in West Hawaiʻi bleached, with some reefs experiencing up to 90% mortality. Corals bleach under stress, and severe or prolonged stress can lead to death. For the last three years, TNC scientists have studied West Hawaiʻi’s coral reefs to identify the most resilient, meaning they can resist or recover from the stress of warmer ocean temperatures. Surveys showed that many of the most resilient reefs are in remote areas with limited shoreline access and exposure to human impacts. These reefs had lots of corals and little or no coral disease, and there was evidence that new corals were beginning to grow. Currently, only 6% of State waters (out to three nautical miles) and 12% of nearshore waters (to a depth of 50 meters) have some form of management. 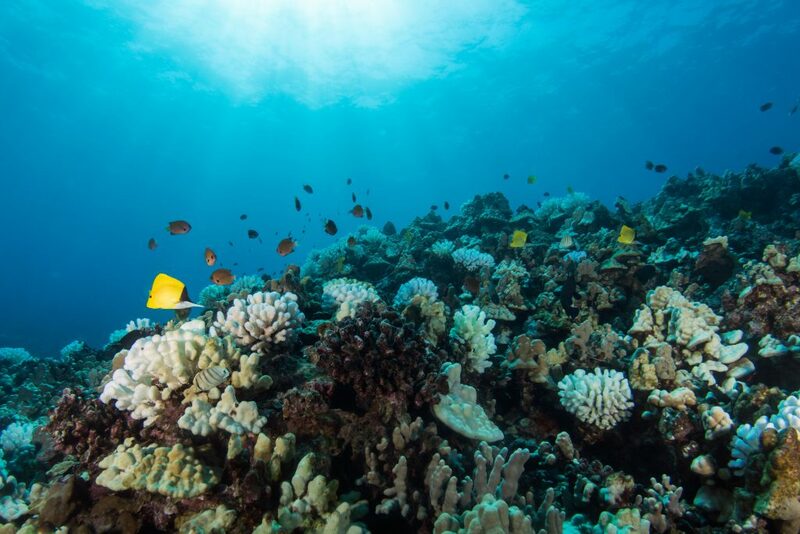 To ensure the long-term health of Hawaiʻi’s coral reefs—and the food, jobs, and coastal protection they provide for Hawaiʻi’s residents—the State has committed to effectively manage 30% of the nearshore marine environment by 2030. 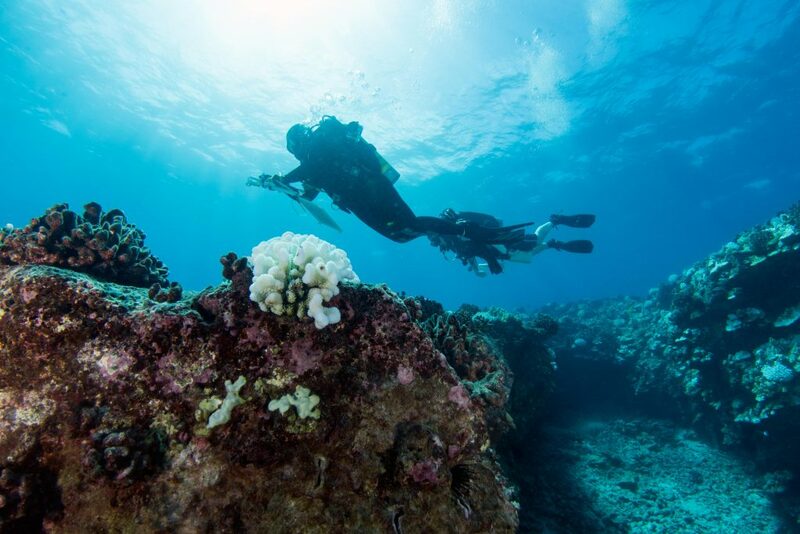 The results of these surveys will help determine where and how to invest to ensure that Hawaiʻi’s most resilient reefs are protected. The symbiotic life that gives coral its colour responds like every other living organism to Darwinian forces. The hardier ones that survived the bleaching are now best placed to recolonise the corals so that, in future, they will be more resilient to heat stress. If the world has both warming and cooling areas, could we not balance them out to see where the net warming is taking place? Option1: Balance most cold by most warm first, leaving net to the lesser warm areas. Option 2: Balance the lesser areas first, leaving the net to the most warm. Option 3: Balance randomly, see what shows up. Result 1: look at each area of 1 – 3. Interpret meaning of each. Result 2: combine 1 & 2, decrease both enough to equal net warming, intetpret. Result 3: combine 1 & 3, also 2 & 3, decrease to equal net warmi g, interpret. 2. If valid etc., why here and not somewhere else? I suspect a pixel comparison using PhotoShop could give a decent first run approximation and answer.